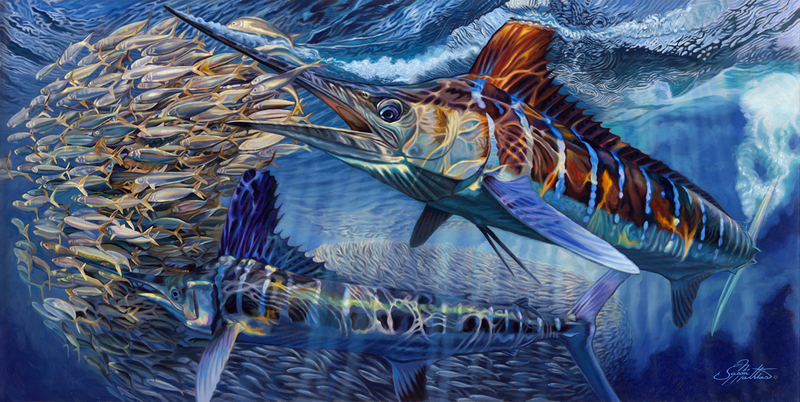 In this magnificent oil painting, renowned artist Jason Mathias portrays a couple of White Marlin totally lit up as they hunt a massive baitball. Printing: Jason Mathias fine art prints use professional fade resistant Giclee inks and a range of high quality papers and canvases resulting in beautiful, fully archival prints with incredibly fine detail. Giclée uses water-soluble pigments rather than the dye-based inks used in traditional printing and other forms of ink-jet. Giclée pigments match original pigment-based media and remain true without fade for over 75 years. The artist applies a texturing protective UV coating for all canvas prints only. 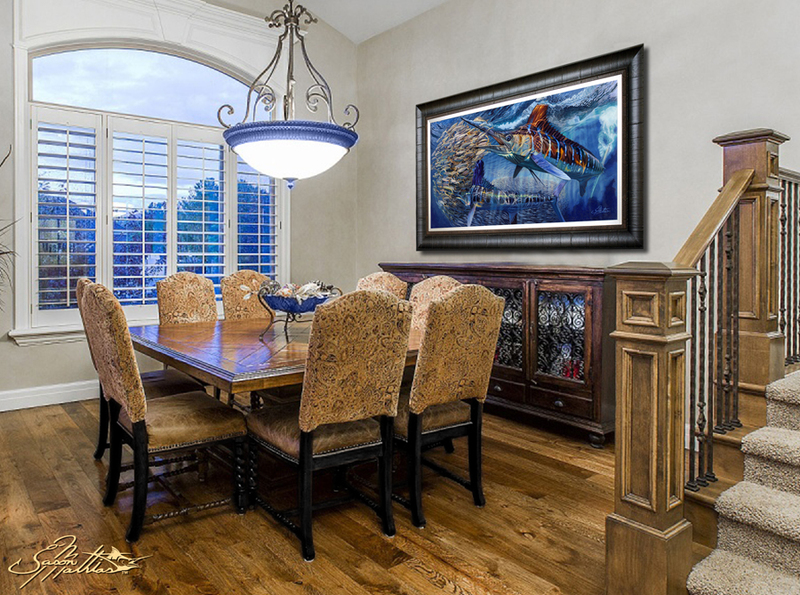 Framing: Here at Jason Mathias Studios we have professional framers custom frame each and every piece. All paper prints are framed behind uv glass. The frames listed in the photo descriptions are our standard frames. We have a wide variety of framing options so if you desire a different frame please email us at jasonmathiasart@gmail.com and we will email you a list of our entire framing selection.